No waiting list. First come first serve. 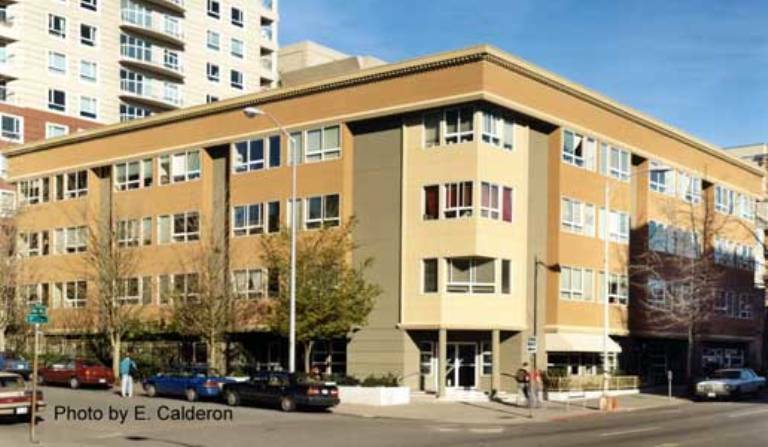 Affordable studios and one bedroom apartments now available in the heart of Belltown. Vine Court Apartments does not have directly subsidized apartments, but we gladly accept Housing Authority provided Section 8 Housing Choice vouchers. The following criteria must be met by potential residents: * Some exceptions or in-lieu-of criteria - call for details. CREDIT- Total household debt cannot exceed annual household gross income. Any bankruptcy must be discharged. RESIDENT HISTORY- Past 12 months verifiable residential rental history. No prior evictions or unlawful detainers. No outstanding balance owed to any landlord. No current Three Day Notices to Vacate. No more than two legal notices in any twelve month period for any member of applicant household. Must be eighteen years of age or legally emancipated with proof of emancipation. Modern studios in a quiet, friendly building. Affordable studios now available in the heart of Belltown! The Vine Court Apartments, at the corner of 1st and Vine, is just steps away from the Seattle Center, Pike Place Market, the waterfront, and so much more!! To qualify your maximum annual household income must be no more than the annual income cap for the specific apartment you are applying for. If you are not on a current lease you must be with your employer at least 6 months. To apply go to our website at www.bellwetherhousing.org on the home page, go to "find an apartment search", enter your income information and it will bring up any units you qualify for. Email the resident manager if you are interested in viewing the unit. We can't take an application until you have seen the unit. Feel free to call the resident manager for more details or if you would like to set up a viewing by phone. STUDENTS- Applicant households where all members are full-time students are eligible at the Vine Court Apartments. Income Limit Details: Serving households earning below 65% of area median income. Actual income limit varries by apartment. Section 8 vouchers are welcome! Rent Detail: Vine Court Apartments does not have directly subsidized apartments, but we gladly accept Housing Authority provided Section 8 Housing Choice vouchers.